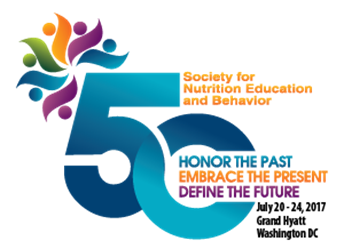 More than 40 sessions on nutrition education research, programs, and practice looking at topics of families, technology, food service, weight and health across the lifespan, communications, and more. Over 250 abstract presentations both oral and poster, including poster presentation by USDA FNS and USDA NIFA-AFRI grantees. Estimated 30 CEUs from American Association of Family and Consumer Sciences, Commission on Dietetic Registration, National Commission for Health Education Credentialing Inc., and the School Nutrition Association. Save $50 with early bird registration when you register now through June 9. Complete conference details, including speaker list, hotel room rates, and more, can be found at www.sneb.org/2017. SNEB Journal Club 6: What Does Evidence-Based Mean for Nutrition Educators? Speakers: Jamie S. Dollahite, PhD, Cornell University and Cindy Fitch, PhD, RD, West Virginia University Extension Service. Funding agencies and professional organizations are increasingly requiring community-based nutrition education programs to be evidence-based. However, few nutrition education interventions have demonstrated efficacy, particularly for interventions that address the outer layers of the socioecological model (i.e., organizational, community and public policy). This webinar reviews the types of evidence available to assess the likelihood that a given intervention will deliver the desired outcomes and how these types of evidence might be applied to nutrition education, and then suggests an approach for nutrition educators to evaluate the evidence and adapt interventions if necessary. 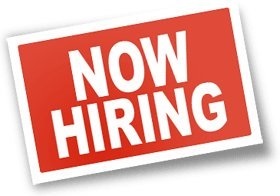 Application deadline: Review of applications will begin immediately and will be accepted until a suitable candidate is identified. Eggs are a nutrition powerhouse. One large egg has six grams of high-quality protein, varying amounts of 13 essential vitamins and minerals, and the antioxidants lutein and zeaxanthin, all for 70 calories. 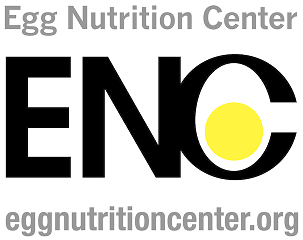 The Egg Nutrition Center is the science and nutrition education division of the American Egg Board. Its mission is to be a credible source of nutrition and health information and the acknowledged leader in research and education related to eggs. Interview: According to a new survey, students perceive a "real meal" as nutritious or healthy and reflecting recommendations such as the Dietary Guidelines for Americans. In education campaigns or clinical counseling, the term "real meal" could be an effective tool to encourage healthy eating habits. Jinan Banna, PhD, RDN, discusses the results. Team Nutrition's new kid-friendly standardized recipes help bridge the gap from winter to spring by offering a variety of delectable dishes that range from cozy cups of soup to scrumptious vegetable blends. Check out these new recipes on Team Nutrition's USDA Standardized Recipes site! University of Southern California via EuerkAlert!